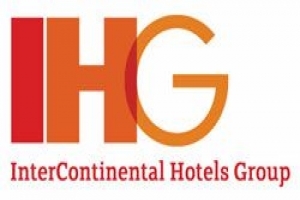 IHG (InterContinental® Hotels Group) and the Playa Poniente Group announce the opening of Holiday Inn Resort Acapulco. Located at Miguel Aleman Avenue #2311 Acapulco, Guerrero, the hotel is situated on the oceanfront with beautiful views of the Pacific Ocean. The new hotel exemplifies the $1 billion Holiday Inn relaunch, the biggest project of its kind in the history of the hospitality industry. First announced in 2007, the relaunch program creates a more contemporary brand image as part of the drive to increase quality and consistency across the global portfolio. The program focuses on arrival and welcome services, guestroom and guest bath comfort and a redesigned logo and signage. The Holiday Inn Resort Acapulco is located in the heart of Acapulco, in the Condesa area, with easy access to restaurants, nightclubs and bars in the city. Just two minutes from the Convention Center, the hotel is also in close proximity to tourist attractions such as the Quebrada, CiCi Water Park, La Isla Mall, the Fort of San Diego and the “Blue Water Sportfishing” fishing center. The hotel offers guests a comfortable, yet affordable, business or leisure stay with innovative guest upgrades to ensure a preferred experience. The hotels’ contemporary style was designed by Mexican architect Leticia Jimenez. It has 224 spacious and comfortable rooms and a wide array of facilities consistent with the Holiday Inn Resort brand, including free high-speed wireless Internet access, 32” LCD TVs, desk, coffeemaker, hair dryer and ironing board. Other features include a gym, outdoor pool and children’s pool, parking and business center. The hotel also has two restaurants, Santa Lucia Café Terrace with international cuisine and seating for 120 and the Pool Bar. For meeting planners and social events, the hotel offers five meeting rooms with extraordinary ocean views and the capacity for 12 to 420 people. In addition, the hotel offers outdoor events in the pool area for up to 200 people. PUERTO VALLARTA Mexico—Waiter, is that food in my plate?